Saving money on bought in fertiliser. Soil conditioning properties from the organic matter. 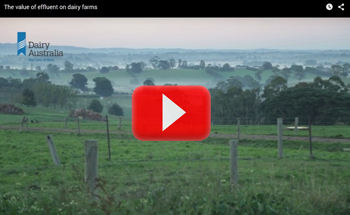 Productivity gains from pasture responses. 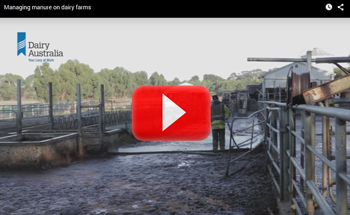 The following short video clips explain some key aspects of effluent management. 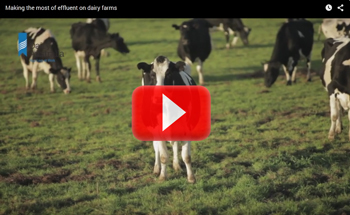 Each video clip has an accompanying printable factsheet summarising the video topic, and providing references for further reading or information on the topic. 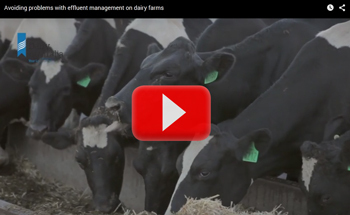 For reliable and scientifically validated technical information on dairy effluent management adaptable to all dairying regions in Australia, please see The Effluent and Manure Management Database for the Australian Dairy Industry available in our Tools and Guidelines. 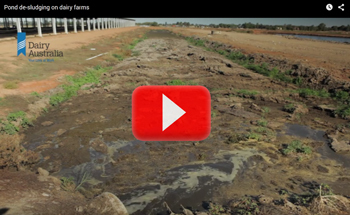 Effluent is a valuable farm product. Advances in technology have made it easier to manage effluent, reducing the time and hassle involved, while minimising environmental risks and optimising agronomic benefits. 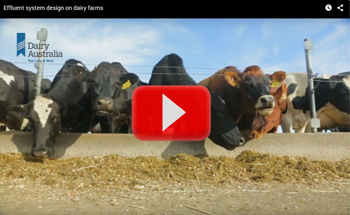 Good environmental management is important to dairy consumers. Empty ponds before mid to late autumn. Move irrigators regularly, and utilise a large application area. Addition of organic matter to the soil, improving soil structure, water and nutrient holding capacity. The system is people friendly and safe. Increase storage to avoid winter and spring irrigation. Get expert help in the planning stage. 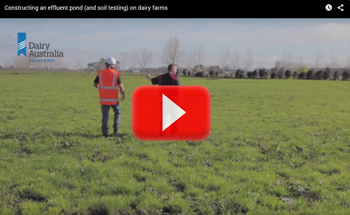 Assess the potential pond site suitability. Get a geotechnical assessment of soil type to ensure it can meet permeability requirements. A geotechnical assessment is an important part of designing and constructing a new pond. A geotechnical assessment provides the detailed information earthmoving contractors need before they can properly quote for the job. Maintain effluent ponds to achieve the maximum life and effectiveness of the pond. Avoid having rubbish enter the effluent system. 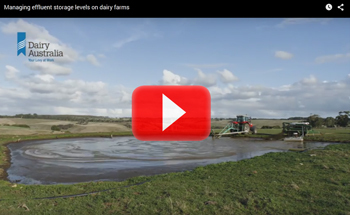 Pond sludge is a nutrient rich valuable product which has a rapid financial return (3-6 months) on the investment of de-sludging and applying it back to the farm. 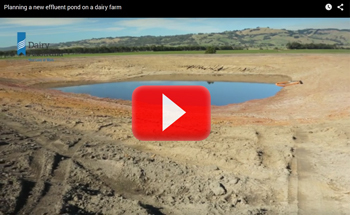 Adding a feedpad to a farm system may require an upgrade of an existing effluent system. Manure is rich in nutrients and organic matter, and can be highly beneficial as a fertiliser and soil conditioner.